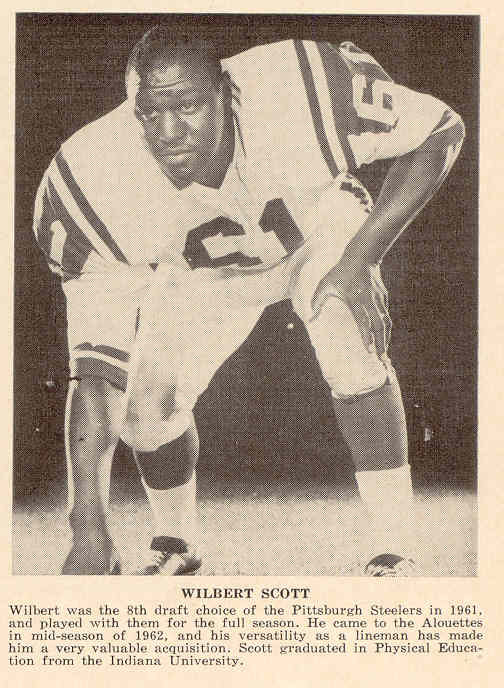 From the Universityh of Indiana, Wilbert Scott was drafted by the Pittsburgh Steelers of the NFL in the 16th round of the 1961 dradft. Scott played one season for the Steelers (1961) and joned the Montreal Alouetgtes partway through the 1964 season. Scott played four seasons for the Alouettes (1964-67) and one game in 1968 before finishing the year with Hamilton. 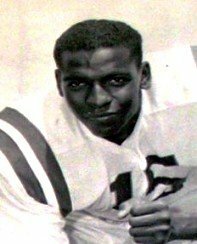 Scott won an East All-Star at linebacker in 1966. In total, Scott had 6 career interceptions and 5 career fumble recoveries. Scott's brother, Bo Scott was a star fullback in the CFL with Ottawa. Sats for tackles and quarterback sacks were not kept during the years Scott played.